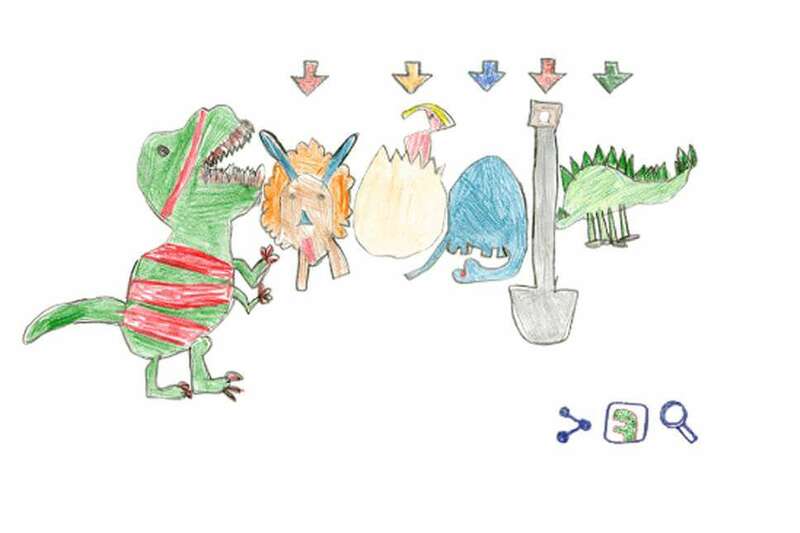 The winning logo for 2018 is by Sarah Gomez-Lane, a second-grade student from Falls Church, Va. She responded to this year's theme, "what inspires me," by making the dino-friendly logo to share her hopes of becoming a paleontologist. And for the first time in the 10-year history of the contest, the winner got the opportunity to work with Google's doodle team to animate her drawing and have it on Google's homepage. Sarah likewise won $30,000 for college and $50,000 for her school. Any student from kindergarten through 12th grade can participate in the challenge. Google is accepting submissions for the 2019 contest through March 18.